All new, Quicken 2018 has arrived! 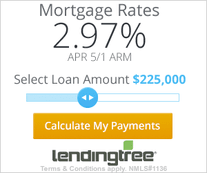 This is the most popular software for managing your personal finances. Each version is available for both Windows and Mac (except Home, Business & Rental Property which is available for Windows only). Quicken 2018 has all the features to help you with your personal, family, and small business financial tracking and management needs. Just decide which version is right for you and your situation, then download and get started today. There are several versions to choose from. Deciding which version is best for your situation can be confusing, so we’ve developed a price and feature comparison chart to help you decide which Quicken is right for you. 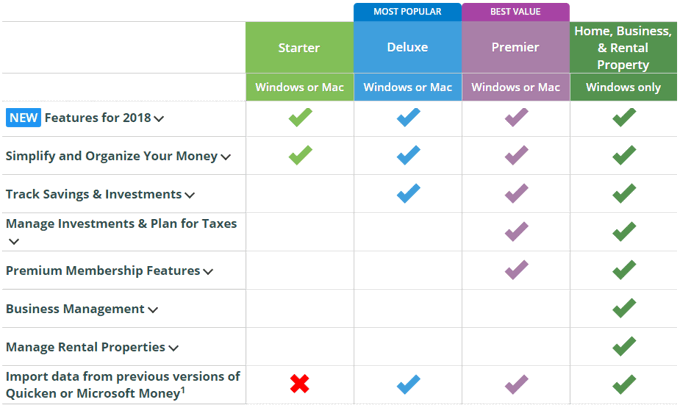 This chart shows all the versions of Quicken, along with the different features available and the prices at various online retailers. Visit our Quicken Comparison page for more information or click on the comparison chart below for an expanded version.